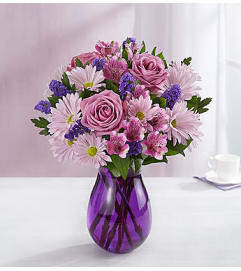 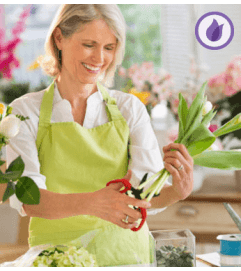 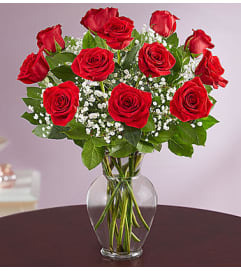 Ann Marie Pierce of 1-800-Flowers|Imperial Florist in Baldwin, New York recalls: “I was inspired by the color possibilities of this design. 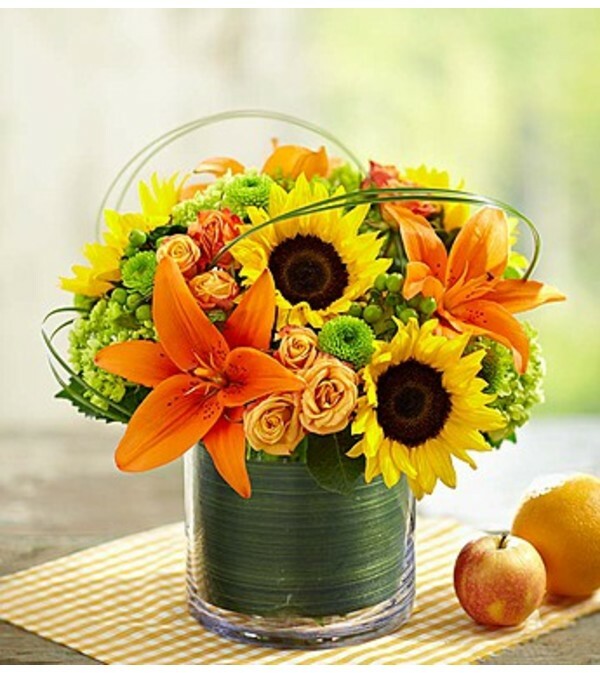 Lime green and orange are so bright, together with magnificent sunflowers in deep yellow.” In addition to sunflowers, the arrangement features lilies, hydrangeas, hypericum and button poms. Another key element is bear grass arranged in playful circular shapes that appear to rotate above, drawing the eye toward the flowers.